WordPress is one of the most powerful web design tools anyone can use when building their websites. No longer just a blogging platform, it has been developed into a fully functional CMS that is far more flexible, user-friendly than most other Content Management Systems. The reason I love WordPress so much is because it is highly customizable. There are hundreds of thousands of plugins and themes available that allow me to create a website with any features I could ever want. Through the use of plugins and themes I cannot only build simple blogs, I can also develop fully functional websites with shopping carts to sell products and services or even create membership sites and community portals. The biggest advantage to using WordPress is being able to automate almost all of the on-page SEO tasks and even some of the off-page tasks. 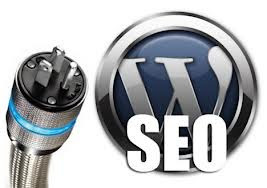 Through the use of plugins, I am able to get my websites indexed in Google quickly, often within minutes. Because most of the SEO process is set up to run automatically, every page of my websites are fully optimized to get the best possible placements in the search engines. No other CMS makes it this easy. Since I have used WordPress so extensively over the past 5 years, I have tested out many of the plugins that are out there, and believe me, there are literally thousands. Over the years, I have compiled a list of essential plugins that I begin with for every site build I do. I have a few premium professional plugins I sometimes add, but the bulk of the load is managed with the following 6 free plugins. I used to use the All in One SEO plugin, but have found that this one is not only better; it also has a ton more features. This plugin not only allows you to manage your Meta tags for all of your pages, posts and site-wide titles, keywords and descriptions, it also eliminates duplicate content by implementing canonical URLs. SEO Ultimate also allows you to set a noindex/nofollow tag for individual pages or posts - very useful if you want to republish an article or have any pages that you do not want to get indexed by search engines. Another cool feature is adding a text box with your link details at the bottom of your posts and pages to encourage natural link building from your visitors. There are more features to this WordPress plugin, but the ones I have covered are the most important to me. This is a plugin created by Google and it can be responsible for getting your site content indexed really fast. Its publish and subscribe protocol is an extension to the standard Atom and RSS. Some of the hubs currently using this protocol are Google Reader, Google Alerts, FriendFeed, and many more. The main function is real-time pinging of your new content to various hubs throughout the internet where users can subscribe to your feeds. Because it is done in real-time, your new content can be indexed within minutes. Although WordPress has a built-in ping feature, PubSubHubBub will complement that function and make it unnecessary for you to spend money on pinging or bookmarking services. This plugin will build a XML-Sitemap for your site and automatically send it to the séarch engines. Then every time you add new content or make changes to your existing content, it will re-submit the updated Sitemap. Think of it as sending the search engines a written invitation to send their robots to your website to crawl through the new content and index it. Although the use of XML-Sitemaps was originally adopted by Google in 2005, Ask.com, Yahoo and Bing now also use this format. You will need to input your Yahoo API in the plugin settings. You can get a Yahoo APP Key at http://developer.yahoo.com/wsregapp. Once you have this plugin installed and configured, it will run automatically in the background without you having to worry about it again. Since page speed and load times affect your search engine placement, it is a good idea to improve your website performance as much as possible. This is a basic cache plugin that allows many elements of your website to be stored in cache files so they do not need to download with each page your traffic visits within your website. This improves the load time of all of your pages. There are many different cache plugins available including WP Super Cache that is included with the latest WordPress installation, but I have found that this one works best. Be sure to deactivate the WP Super Cache if you choose to use this plugin. The closer to the domain names you can get your keywords, the more weight they will carry. This plugin will delete the mandatory category base from your category permalinks for better SEO. The plugin has a built in 301 redirect for all of your old posts so you do not need to worry about broken links when installing this plugin on an established blog. Internal links are crucial to good on-page SEO. By setting up anchor text links to your keywords and pointing them to important pages within your webpage content, you can get better SERP for those pages. It is a way to tell the search engines what keywords you want those pages to rank for. I also recommend the Redirection plugin. It is multi-purpose and can monitor 404 links and can be used to cloak referral links. I also use it to setup 301 permanent redirects.